It is almost the 4th of July, so I thought I would share some pictures of dogs enjoying the beach! These are all vintage advertisements. I like them, and hope you will too. This is a famous advertisement of a Cocker Spaniel and a little girl (1960's). 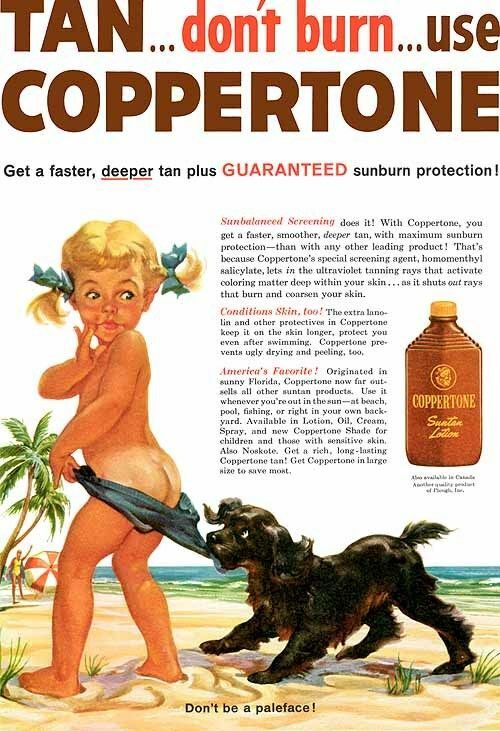 It advertises Coppertone suntan lotion. The next two ads feature a Scottie dog and Westie advertising Black and White Scottish whiskey. 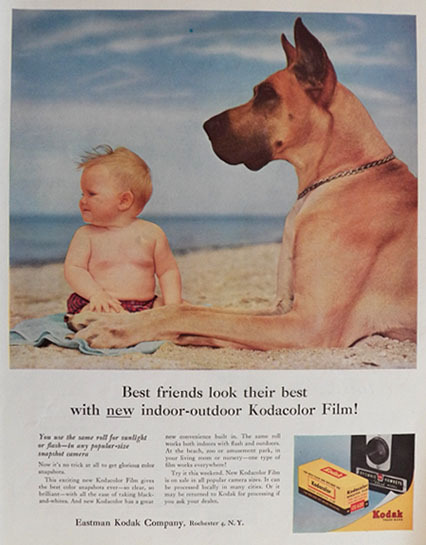 This Kodak ad features a majestic Great Dane with a baby at the beach. This 1950's advertisement, for Jantzen swimwear, also features a cute Beagle! 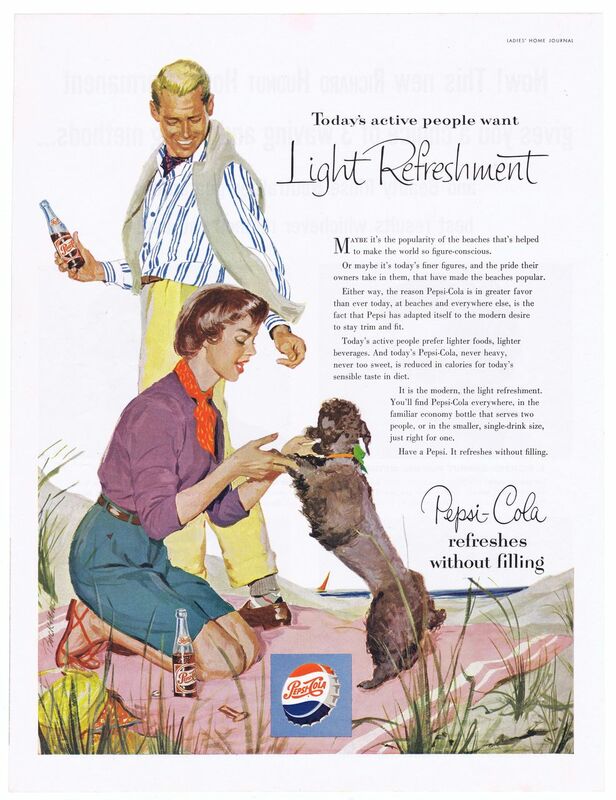 A little Poodle is enjoying the beach in this Pepsi advertisement. 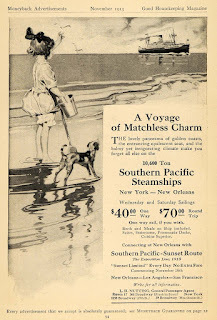 This is the oldest of the advertisements A little girl and a Jack Russell Terrier (or JRT mix) are watching a ship. The ad is for Southern Pacific Steamships. I hope you have enjoyed these vintage ads, and I also hope you have a fun 4th of July! 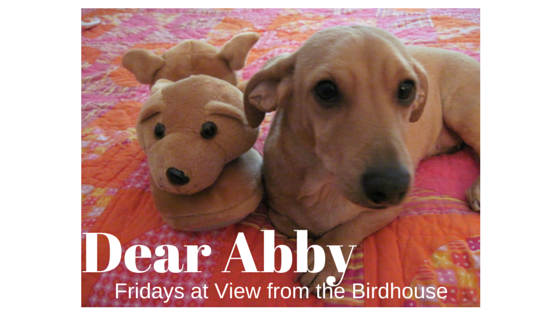 Do you have special plans for the holiday? And if you have pets, do they enjoy participating in the holiday too? I enjoy spending time with my Momma, friends, and family. At night I get lots of cuddling and attention because I don't like fireworks! Thanks for visiting! Have a great weekend. I love these so much! 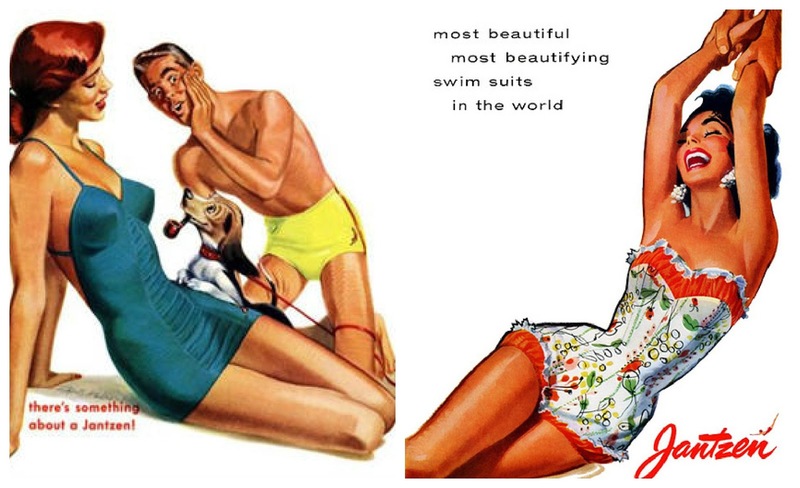 I have always loved the classic Coppertone ad, but I think my favorite out of these is the Great Dane with the baby. So cute! How much fun! 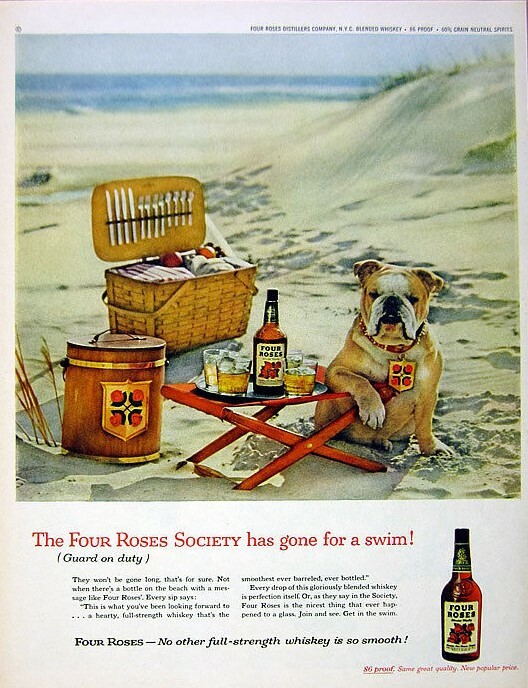 I love the old ads and nothing is cuter than a pup and a baby on a beach! 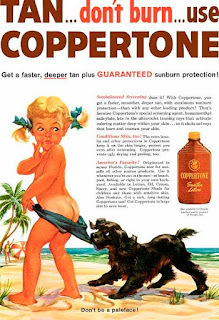 That Coppertone sunscreen ad is such a classic! I took my oldest dog to the beach once. He was not impressed lol. These are so cute, I love looking through vintage advertisements! We haven't gotten to the beach this summer yet but I can't wait to get there. These vintage ads definitely make me want to make my way there faster. So many adorable vintage ads with pups!! I find it neat to look at old advertisements - some are TOO funny! So cute! 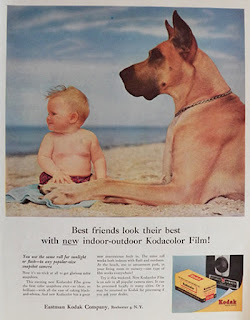 I know I've seen the Coppertone ad before, and the Kodak one, too. They definitely get your attention! Thanks, friends! My Momma is a big fan of vintage ads too.